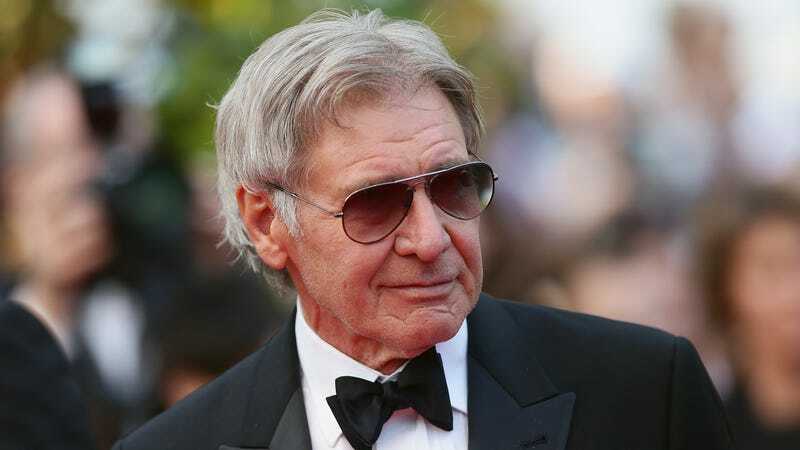 Sometimes, it can be tough to get a read on Harrison Ford. Is he a scruffy-looking nerf herder who shoots first (metaphorically) and is only in it for himself, or is he an irascible scamp who enjoys landing his plane wherever he wants and always comes through for his friends at the end of a (metaphorical) space battle? Over the weekend, it seems like Ford showed his true colors for a moment when he stopped his car to help a driver who had gone off the road. According to The Hollywood Reporter, someone’s car had “veered off” of the road and crashed into some trees on the side of a freeway in Santa Paula, California. Ford was one of a few other drivers who either saw what happened or saw the aftermath, and the Santa Paula fire department confirmed that Ford helped get the driver out of their vehicle. It’s unclear if Ford got the person out of the car by flashing a charming smile or by dropping a funny quip, but he probably at least did something cool. A Twitter user shared some photos, showing the car halfway down a relatively steep drop with Ford and some other people nearby. The other people were probably similarly helpful, but they weren’t in Star Wars so they haven’t been identified.